Lamar Community College is pleased to announce an evolution in its services to students. LCC now offers a virtual bookstore for students to purchase textbook and required course materials, as well as LCC apparel! Buy or rent textbooks from eCampus, LCC’s virtual bookstore, then return your rentals or sell back your unwanted textbooks, all in one place! See below for instructions or start shopping eCampus. 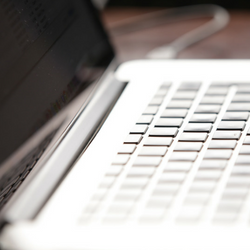 LCC offers discounted academic software for students and educators including Microsoft Office 10 and the Adobe Creative Suite through On The Hub. See all available discounts. 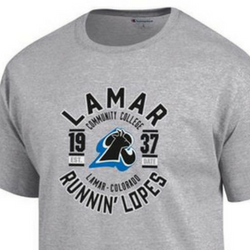 Get Lopes gear from t-shirts to water bottles and more through eCampus! Want to shop right here in Lamar? J&S Graphic Designs carries LCC apparel as well; you can find them at 109 W. Lee Avenue, #4. Ready to purchase your textbooks for next semester? If you have registered for classes, you will see your schedule and a link for “eCampus bookstore” next to the semester dropdown menu. Click “eCampus bookstore” link. It will give you required textbooks/materials for each course and options. Some courses may have rental or eBook options. Begin checkout by selecting location and method for shipping. If you are shipping textbooks within two weeks of a semester and are not a local student, consider having books shipped to Lamar Community College (2401 S. Main Street, Lamar, CO 81052). Use secure payment option to purchase textbooks. 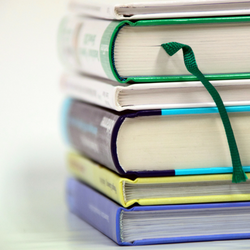 If you have been awarded financial aid at LCC, you may see that your aid can pay for a portion/all of your textbooks. Enter payment information for balance of textbooks not covered by your financial aid. You will receive a confirmation email from eCampus Bookstore. If you have textbooks shipped directly to campus (2401 S. Main Street, Lamar, CO 81052), you will be notified when your package arrives. You can pick it up in the LCC Business Office located in the Trustees Building Room 130.
eCampus will buy back your used textbooks. eCampus offers free shipping and fast cash for your books. Get a quote on how much you can make on your used textbook by visiting eCampus’s Sell Textbooks page. eCampus also allows you to use the money you make on last semester’s books towards next semester’s books with buyback credit.